Mr. Five O’Clock is doing work right now in the Mid-West. 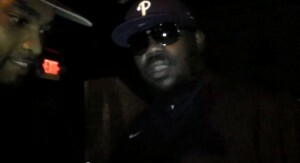 Here is some footage of him opening for the Broad Street Bully along with some backstage bars from Beanie himself. Hopefully he releases the extended version soon.